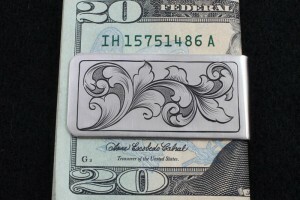 Nickel/Silver hand engraved money clip Contact me for pricing and availability These Hand Engraved Money Clips make unique, classy gifts for both ladies and men. 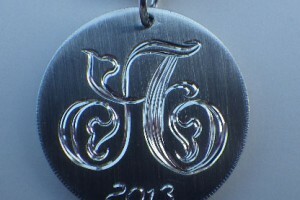 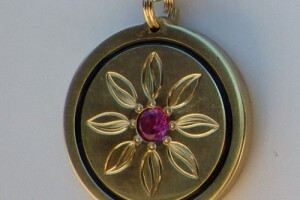 Sterling Silver Monogram Pendant Description: This pendant is approx 1″ diameter and made from 14 gauge sterling silver. 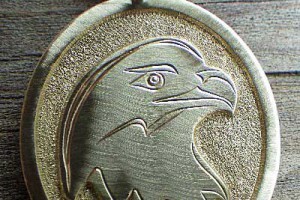 The Warbird Pendant is crafted from heavy 12 gauge solid brass.